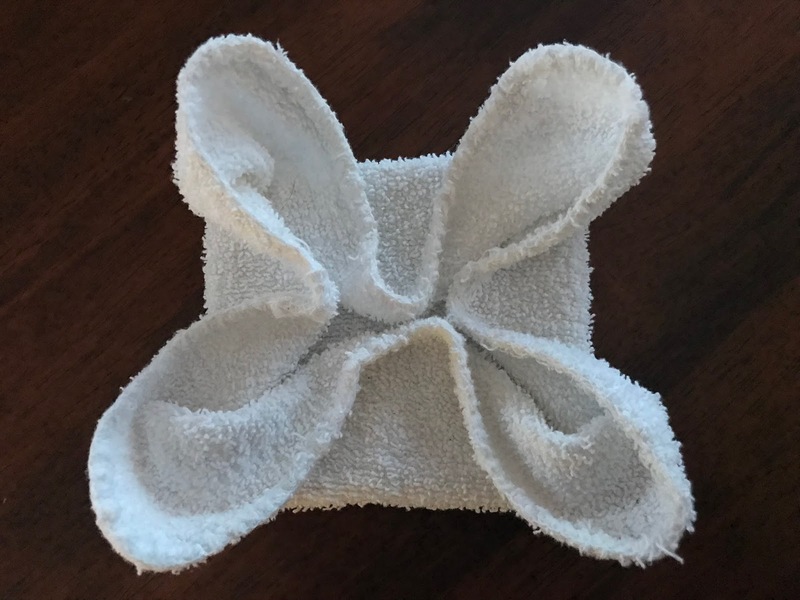 This beautiful flower fold was in our hotel room the last time we traveled, and I very carefully unfolded it to learn how the housekeeping staff made it. It's adorable, and I'm putting them in all of our bathrooms! 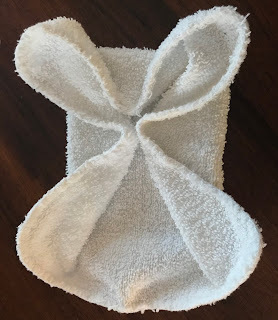 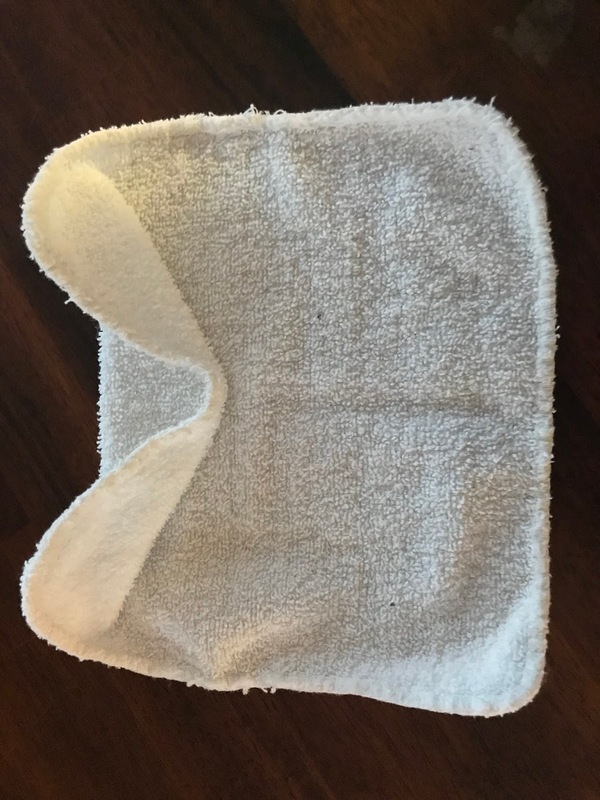 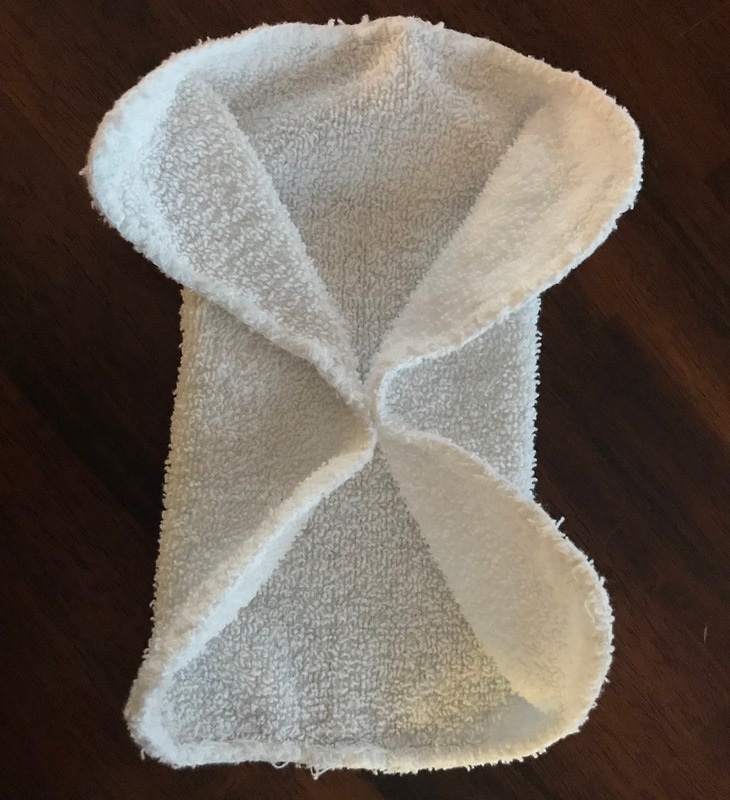 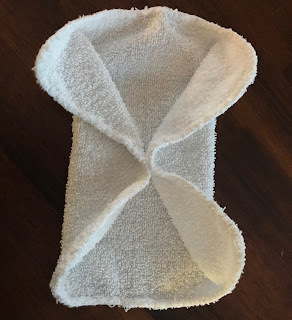 Fold in the middle of one side of the washcloth, keeping the points standing up. Then fold down the top, spreading out the petals. 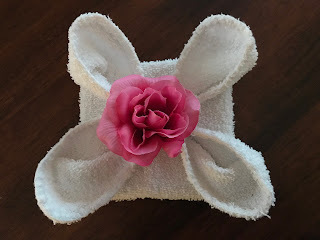 And bring the bottom up, fixing the petals. Add anything you'd like to the center: a silk flower, a mini bar of soap or some other travel-sized treat.